But some films won't stay dead. 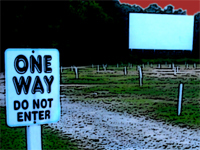 So begins the night of terrors in "Drive-In Horrorshow". In the tradition of "Tales from the Crypt" and "Creepshow", "Drive-In Horrorshow" is an anthology of films that won't stay dead. The evening is hosted by The Projectionist, a ghastly lost soul who delights in all manner of the macabre. He is the owner of the decrepit drive-in that is staffed by various zombies, ghouls, trolls, and other creepy creatures. Billy Troll is The Projectionist's loyal assistant. Billy Troll is in charge of storing the films, and he runs the projector when The Projectionist is busy with other matters. Zombie Frank works the box office. He makes sure no tries to sneak in or rob the place. And if someone dares to, Zombie Frank is more than happy to use his zombie powers. The Teenage Axe Victim will handle all your food and beverage needs. She might be a little slow, but give her a break. After all, she has an axe in her back. Every Saturday night, The Projectionist delves into his vault of horror films and selects five tantalizing tales for his Horrorshow. The Projectionist has high standards – only the most terrifying and entertaining films will suffice. 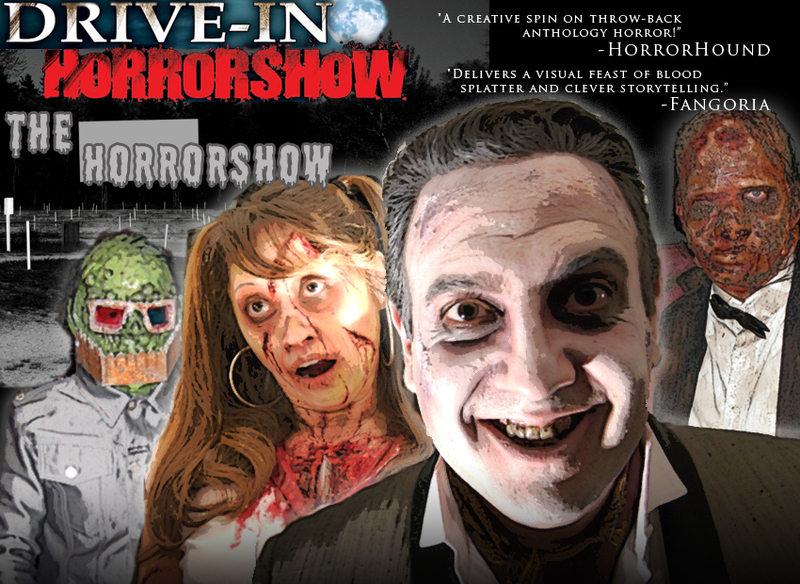 See you at The Horrorshow!